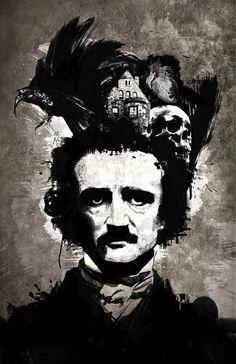 His wasn’t an auspicious beginning and his end remains shrouded in mystery... 208 years ago today, Edgar Allan Poe was born to actors David Poe Jr. and Elizabeth Arnold Hopkins Poe, in Boston Massachusetts. By the time he was three years old, Poe was an orphan. Taken into the home of John Allan, a wealthy merchant living in Richmond, Poe was never formally adopted. Their relationship was strained and filled with disagreements about money. Once he reached adulthood, Poe moved around a lot, spending time in New York, Baltimore, Philadelphia, Boston, and Richmond, never staying long in one place. Poe attended UVA for a scant year, enlisted in the United States army and sought an early discharge, then entered the U.S. Military Academy at West Point. Even though he excelled at his studies, Poe purposefully got himself kicked out. Poe, of course, is best known as a writer. His first book, Tamerlane and Other Poems, was printed in 1827 at the age of 18, during the time he was serving in the army. Al Aaraff, Tamerlane, and Minor Poems followed soon after in 1829, right before Poe entered West Point. Once he left West Point, Poe devoted himself to the idea that he could support himself through literature—as a writer, literary critic, and editor. What made Poe an amazing writer? He was a literary pioneer. He was one of the first practitioners of the short story, and is known as the "father of the detective story." His influence is still found throughout pop culture. Considered a master of horror writing, Poe also wrote satires, humor tales, and loved to perpetuate hoaxes. The Rare Book department is particularly proud of our Poe collection. 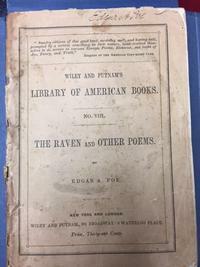 Given to the Free Library by Colonel Richard Gimbel in 1971, it contains autograph manuscripts, letters, and first editions of Poe’s works. Not to brag (well maybe a little) but the collection includes a first edition Tamerlane, of which only 50 copies were printed. Only twelve survived, and thanks to Colonel Gimbel the Free Library has one. 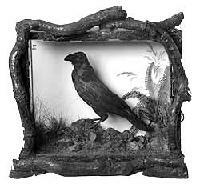 And that poem The Raven that Poe is famous for? The Rare Book Department has the only known extant copy written in Poe’s beautiful penmanship. En route from Richmond to New York, Poe was found incoherent on the streets of Baltimore, wearing soiled clothing not his own. He died on October 7, 1849. The cause of his death still remains a mystery. Poe was 40 years old. 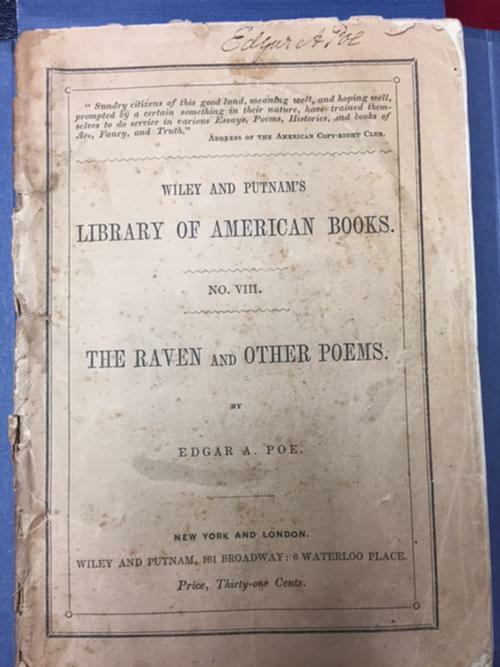 In honor of Poe’s legacy, and to show off its fantastic collection, the Rare Book Department always has a case of materials on display having to do with the author. The staff of the Rare Book Department invites you to stop by and have a look! While you’re here, don’t forget to visit Grip! He’s a taxidermied raven who was a pet of Charles Dickens, but he came to the department as part of Gimbel’s Poe collection. The staff promises they’ll convincingly explain the connection. Browse our catalog for more than 900 titles related to Edgar Allan Poe in many formats, from ebooks and audiobooks to film and television adaptations and musical accompaniments. Excellent article. Poe is without a doubt my favorite author.